Can't wait to hear this one! Hi John! I think you'll feel the same way. 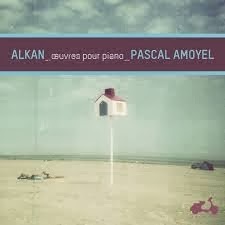 Pascal A. plays Alkan the way Alkan might have played Alkan! That isn't easy. I knew something was very good when, after a few listens, I started hearing what some other well meaning players didn't quite get right, as wonderful as some other performances are, and the sense of the music came through that much more strongly. He should do more!! Alkan no longer sounds "difficult" from the listener's perspective, not to me anyway.